I have been frequently busking with the cajon (accoustically) all over london and the UK, and at first my hands did hurt, quite a bit. I was very much aware that the main reason was due to the terrible quality of my first cajon. I also noted that as I practisied and improved on my technique, (practise at home to slap the cajon right, very simple, controlled technique ex, ) the pain got even less. What practising good technique does is firstly the obvious, it gives you much better technique, but secondly, regular, constant practise really toughens up your skin, which gives you more volume and also helps reduce the pain from playing cajon. I then carefully searched for another cajon that specifically has a super bass and a loud sound, top quality, and I bought it. It was a life changing decision! Suddenly even finger playing was an option for performances! I did however have to unlearn some of my old playing style and technique to get the optimum sound out of my new box drum, as a cajon’s quality will affect your playing. 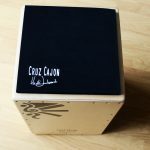 Getting a good cajon is very important, not just for sound quality but for the development of your technique, even if you intend to play miked up, a good cajon will give you an effortlessly great sound, and a fast rebound response, and needless to say, much much less pain. Here I am busking accoustically with my band (Fernando’s Kitchen) Trafalgar Square, London. The space is huge, so having a good cajon for this makes all the difference. In the meantime there are a few things you can do and need to know. You most probably will get some blisters if you play a lot from the start, and this is not bad, just be ready for some pain, haha! You can make use of plasters to protect your fingers if they are hurt and you need to play a show anyway, plus it looks cool too, you can get some colourful one’s and make it part of the show. Also if you can position your cajon sound hole facing a wall/ screen that can reflect and rebound your sound, it would also help a lot with volume, it is a form of accoustic amplification. Palying in the cold/with cold fingers/hands will definitely hurt more than with warm hands, and also cause more pain. If you are playing outdoors (like I do at times in the UK winter) take with gloves and keep your hands and wrists warm. Invest in some aloe vera, it does wonders for your skin and any form of damage to your skin. Apply it to the damaged skin areas at night before going to bed and you will feel better in the morning. I remember having to have to take a 1 min break after a few songs and getting really tired in my back after just 20 min of playing. Remember to take breaks when you are going to play for a long period, and train in front of a mirror at home to make sure you are indeed adopting the correct playing posture. 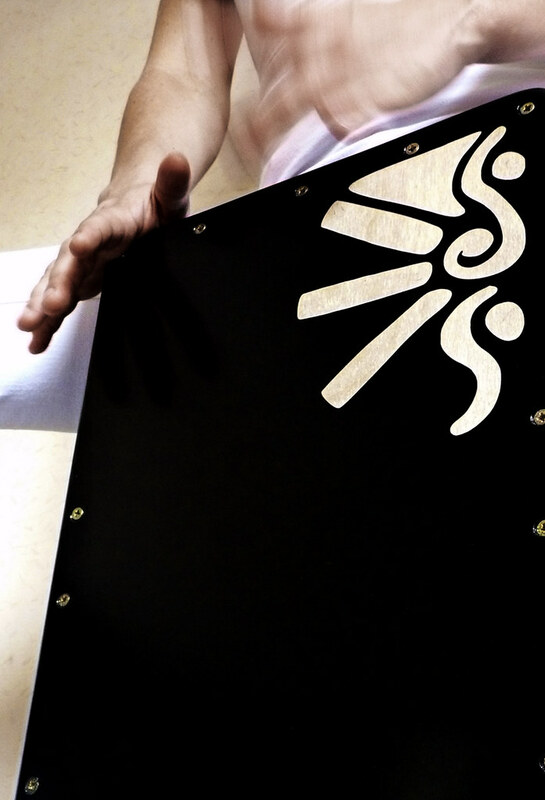 This will also improve your striking technique which will also lessen any pain from slapping the cajon wrong, not to mention give you a better sound. Just make sure you train your back to build in the right posture. This will take time and practise, there’s no shortcut for it. 🙂 Happy practising! Hey Heidi – hoping you still read the comments here. I just got my first cajon yesterday, and I love how many possibilities it has. Of course I got excited (new instrument!) but I was able to practice for about four hours (almost in a row) with no pain or discomfort on the hands or back, probably because I went through all your lessons on posture and beats right from the beginning. … but then I looked down and noticed my right hand was swollen. It didn’t hurt, it just looked as if I had sausages for fingers. This went away after a couple of hours resting, but I wanted to check if it’s normal. Thank you for your inspirational website and videos. 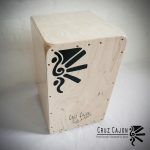 It confirmed my desire to play cajon! Sign up to the newsletter to stay updated to these ok! For now I would say never tense while you play ok! And take some breaks in your practising and playing time, say every 20 min take 5 min! Thanks. 🙂 Looking forward to the videos etc.. Might try to come down to London for one of your cajon classes so you can see if my hands are doing what they should be. For now, definitely going to take it easier while the right muscles build. Thanks. Hi Heidi – yep, makes perfect sense!! That’s really interesting – perhaps we have similar techniques – I have similar ‘kitten pads’ on middle and ring fingers, and mainly middle fingers on the second joint from finger tips but also index fingers on first joint which is more pronounced towards the middle fingers. And right more than left for the same reasons. I am starting to practise left hand leads and generally exercising my left hand more to strengthen it and keep it more independant (same as I do on a full drum kit). Your technique and which fingers you use most will affect this, I find the toughest skin on my right hand, middle finer, on both folds of the joints, but especially on the first joint from the top, the other side too, but because I probably use more strength in my right hand and lead with the right hand it’s harder on the right than the left. Then the tips of the finger in the middle there’s some “kitten pads”, especially the ring and middle fingers… really mostly those 2. Hope this makes any sense to you haha.